Bab, Pull My Finger! No! 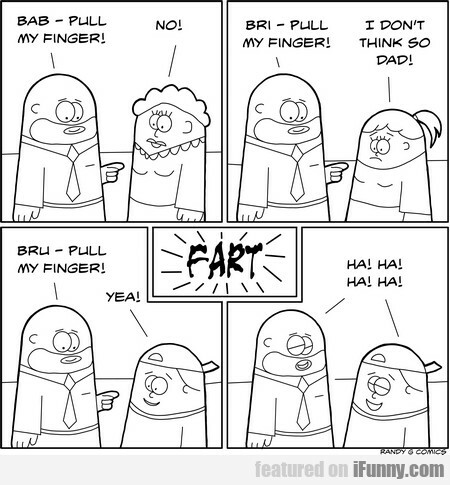 Bri, Pull My Finger! On Mar 31, 2019 via Randy G.